Every instrument is autoclaved between uses. Podiatists, sterilisation, cleanliness and autoclaves. At Walk Without Pain Podiatry Clinics, your health and wellbeing is our priority. We are proud to meet, or exceed, the relevant Australian health care standards for clinic operations as well sterilisation of all reusable items. Each of our clinics is equipped with an on-site autoclave with all of our instrument cleaning completed by our trained staff. The relevant health standards in Queensland skin disinfectants (antiseptics) are: (AS/NZS) 4815:2006 Office-based health care facilities – Reprocessing of reusable medical and surgical instruments and (AS/NZS) 4187:2014 Reprocessing of reusable medical devices in health service organisations. 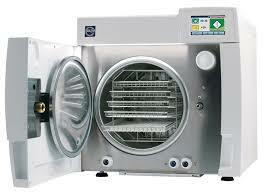 This page is about the keywords: Podiatrist sterilisation cleanliness autoclave. It is intended to supply information to consumers about the ways in which podiatrists protect clients with sterilisation using autoclaves to remove infective agents.